"Staff are kind, helpful and friendly." Have a question for Amerson Pension Place? "Thanks to Mr. Dela Torre and staff for a wonderful stay." 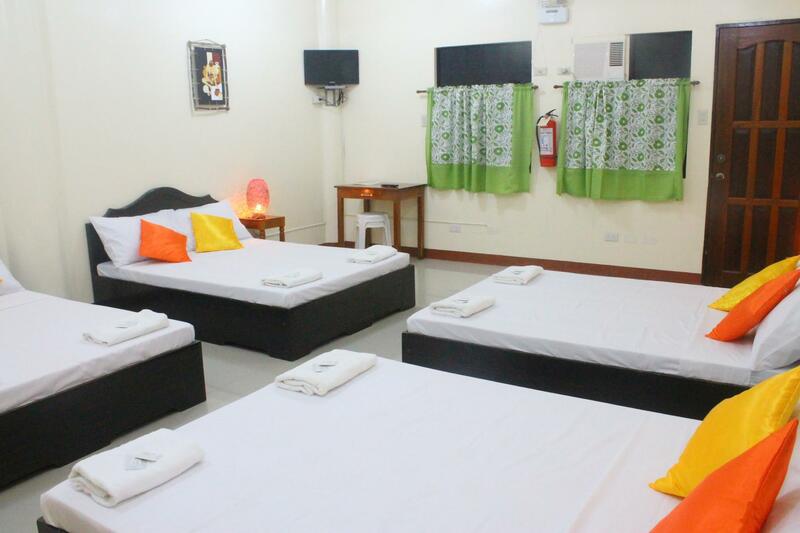 "Aircon, internet, hot water shower, breakfast and a comforta..."
Amerson Pension Place, located in Puerto Princesa, Palawan, is a popular choice for travelers. From here, guests can enjoy easy access to all that the lively city has to offer. With its convenient location, the hotel offers easy access to the city's must-see destinations. At Amerson Pension Place, the excellent service and superior facilities make for an unforgettable stay. 24-hour front desk, Wi-Fi in public areas, car park, airport transfer, family room are just a few of the facilities that set Amerson Pension Place apart from other hotels in the city. All guest accommodations feature thoughtful amenities to ensure an unparalleled sense of comfort. The hotel offers many unique recreational opportunities such as massage, garden. 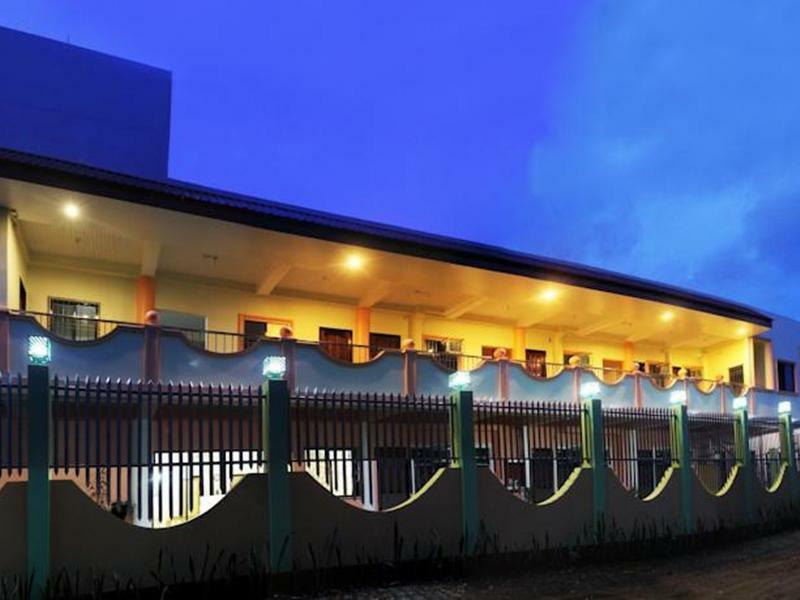 Amerson Pension Place is your one-stop destination for quality hotel accommodations in Palawan. "The location is good and accessible." 2nd time to book here. The staff is nice, they allowed us to check in earlier. The room is clean and the bed is good. The aircon is cold enough and can be really cold if you want to. Location-wise, I liked that this is just 10-15 minutes away from the airport, 5 minutes away from Robinson's mall, 10 minutes away from the Pasalubong center, 5 minute walk to Ka Inato (good restaurant), and 15 minutes away from the San Jose Terminal and Market. They offer free breakfast. Staff are kind, helpful and friendly. 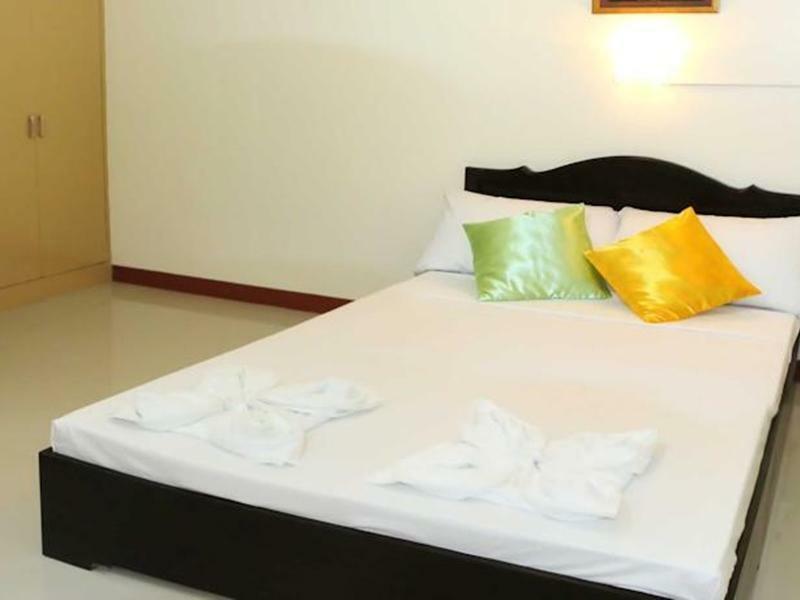 A bit far from city center but price is good compared to other places and the place is clean. You can't sleep at night because of the bar across the street. Too many cats in the hallway and sometimes gets in the room. We stayed here just for a night before our early flight the next day. Beds are comfortable and peaceful palce. Our room has 1 bathroom and toilet. However, the toilet flusher doesn't work. Breakfast is just so ordinary (sliog style) and has a small serving... They don't have a complementary airport transfer like other hotels/pensions in Puerto Princesa city do. They charge 150 per trip for a 4KM away from airport. Place feels like its in the middle of nowhere and far from sentro. No frills and good enough if u are looking for a place to sleep. It's a rough road going out to the property and muddy during rainy season. Only stayed for 1 night. The location is good and accessible. Just one ride away going to Robinson Mall or to the Market. There is a bank across the street if run out of cash. But we were not satisfied with the served breakfast it was wispy that we have to eat again outside. No choices and they serve it quite late. The room is worth what we paid for nothing special. I would recommend this to those who are in a tight budget, and still get the necessities of a well deserved vacation in the paradise! My plane was one and a half hours late but the driver was still waiting patiently for me with my name on a sign. After helping me with my bag we left in the new, air-conditioned van and arrived at the gated Pension where the receptionist warmly greeted me with a big smile and then showed me to my room. 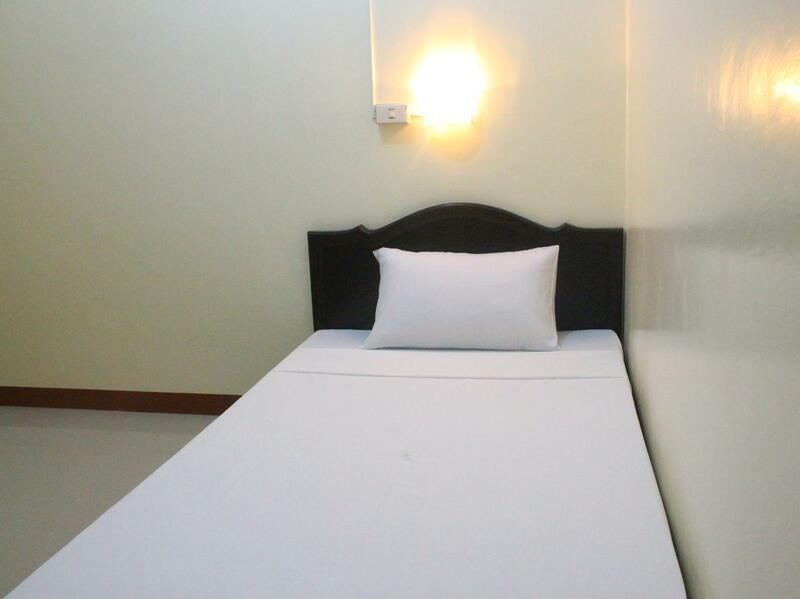 Aircon, internet, hot water shower, breakfast and a comfortable bed are included for a great price! Robinsons Mall and Honda Bay are just minutes away. I highly recommend Amerson for those wanting a customer service oriented accommodation in Puerto Princesa. Thanks to Mr. Dela Torre and staff for a wonderful stay. Staff was really friendly, it was nice that they transported me to the airport. Breakfast was measly though. Room was clean and looked new. das amerson liegt bei günstigen verkehr fast 10 minuten vom zentrum entfernt.man kann aber leicht einen jepney oder einen dieser dreirädrigen motorroller nehmen. die zimmer sind schlicht und einfach, mehr war für das hotel nicht zu erwarten. die zimmer sind sauber,die pension ist insgesamt in die jahre gekommen. wenn man hilfe braucht bekommt man durch das freundliche personal geholfen. ich wurde sogar kostenlos vom flughafen abgeholt, obwohl ich es nicht erwartet hatte. in etwa 3 gehminuten entfernung befindet sich ein schönes und kostengünstiges restaurant. ich muss ehrlich sagen das ich keinen luxus erwartet habe, aber mir die sauberkeit schon sehr wichtig ist. :-) das frühstück lässt zu wünschen übrig. Das Personal war sehr hilfsbereit, als es darum ging, eine Tour zu buchen. Das Zimmer war klein, aber fein und sauber; den WLAN Code haben wir unaufgefordert erhalten. Alles in allem ein angenehmer Aufenthalt. Die Lage ist in gutes Stueck ausserhalb des Zentrums, dafuer in Laufdistanz zum Busterminal nach El Nido etc.